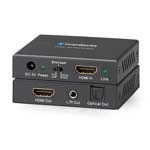 A leader in the high definition digital domain, Gefen delivers advanced technologies with multi-platform extension, switching, distribution and conversion capabilities. 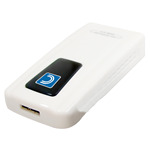 Gefen equipment is utilized all over the world in professional AV/IT and consumer electronics/home theater environments. 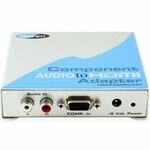 The Component Audio to HDMI™ Adapter is a unique device that allows older analog devices to be integrated seamlessly into the modern home theater. 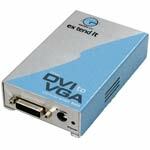 Connect your analog monitor to the HD-15 female connector output of the DVI to VGA Conversion Box. 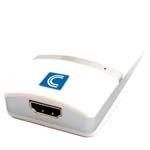 Connect the DVI (M-M) cable between the DVI connector on your computer's graphic card and the DVI input of the DVI to VGA Conversion Box.